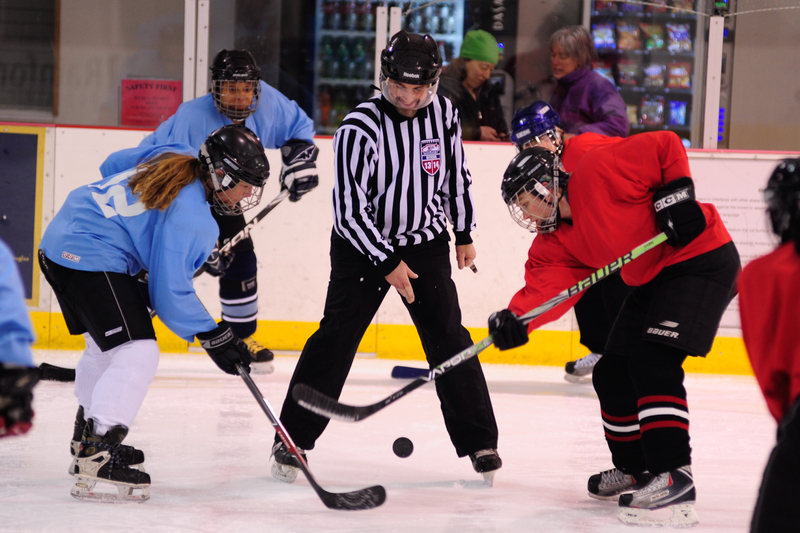 The Juneau Jamboree women’s hockey tournament enjoyed its 10th year of competition at the Treadwell Ice Arena. Players came mostly from Juneau, but some traveled from Homer, Anchorage, Fairbanks and even Montana for an eight-team, three-day event. 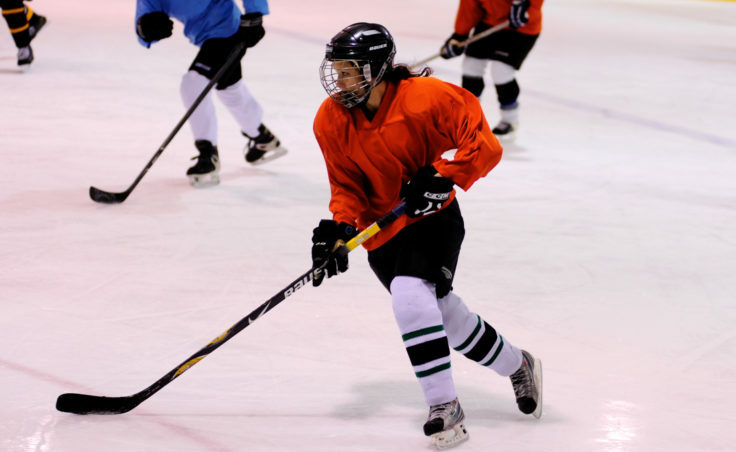 It’s the first tournament at Treadwell this year and represents growth in women’s hockey. The tournament featured six teams last year. Christy Hartman trails closely behind Jessie Kovach, who comes crashing down on goalie Lucy Domingez during the 10th Annual Jamboree women’s hockey tournament at Treadwell Ice Arena. 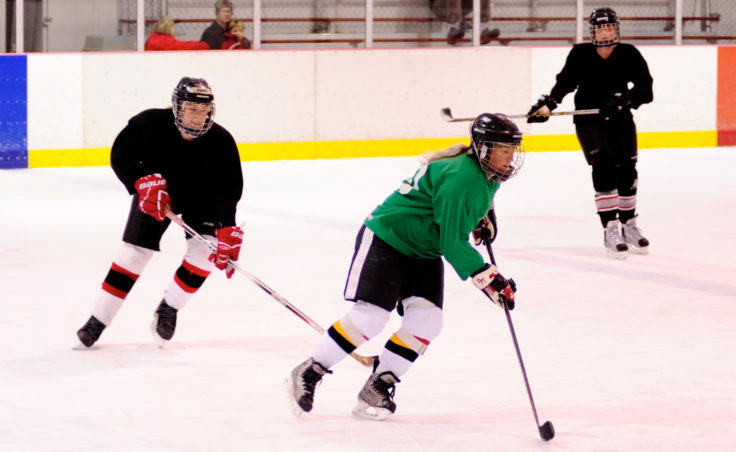 Daria Horne unleashes a shot while fellow defender Gina White watches during the 10th Annual Jamboree women’s hockey tournament at Treadwell Ice Arena. Katie Spielberger tracks down puckhandler Christine Woll during the 10th Annual Jamboree women’s hockey tournament at Treadwell Ice Arena. 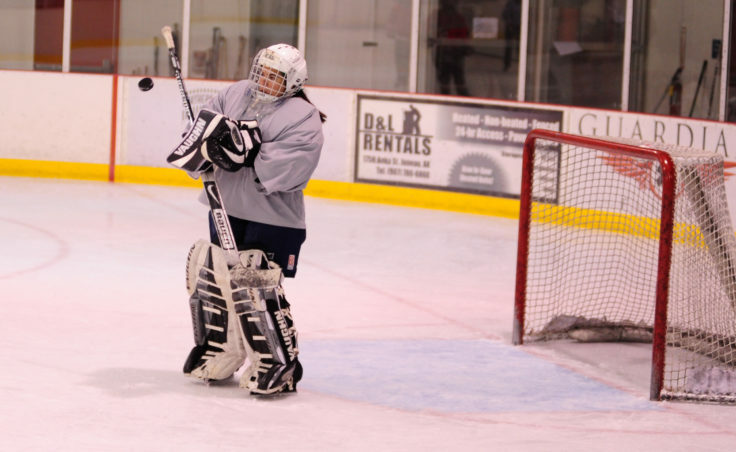 Goalie Heather Strickland keeps an eye on puck deflected upward during the 10th Annual Jamboree women’s hockey tournament at Treadwell Ice Arena. Nandi Than chases down Shelagh More as she breaks up ice during the 10th Annual Jamboree women’s hockey tournament at Treadwell Ice Arena. Wendy Smith (left) chases Leslie Slater across mid-ice during weekend competition of the 10th Annual Jamboree women’s hockey tournament at Treadwell Ice Arena. 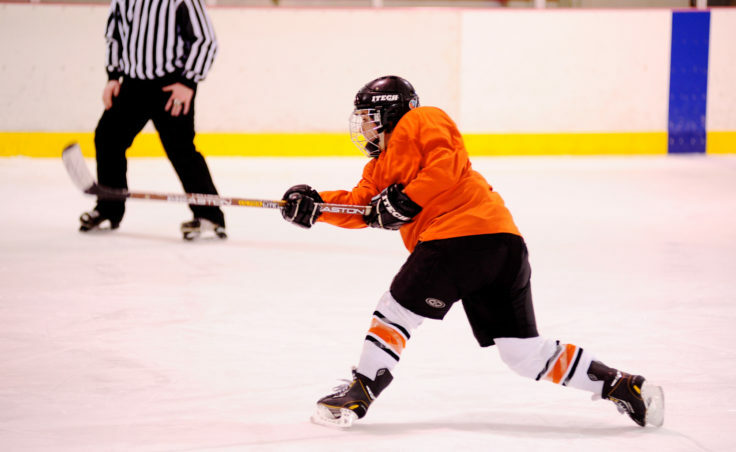 Amber Treston skates up ice, looking to put the orange team on the board during the 10th Annual Jamboree women’s hockey tournament at Treadwell Ice Arena. Caroline Schultz keeps Jill Weitz at bay while maintaining control of the puck along the boards during the 10th Annual Jamboree women’s hockey tournament at Treadwell Ice Arena. 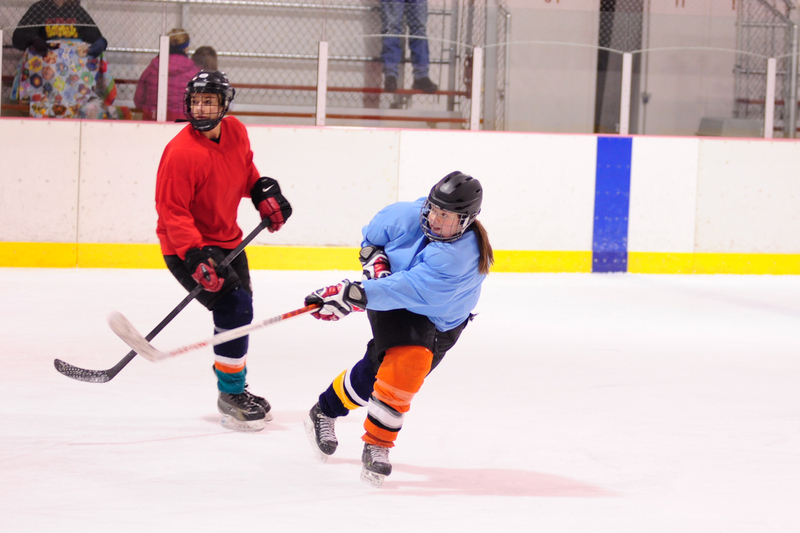 Deb Mosley (left) and April Sapp compete for a loose puck during the 10th Annual Jamboree women’s hockey tournament at Treadwell Ice Arena. Shelagh More clears the puck from the defensive zone, but with a quick flick during the 10th Annual Jamboree women’s hockey tournament at Treadwell Ice Arena. : Jess Parks stops a puck deflected upward during the 10th Annual Jamboree women’s hockey tournament at Treadwell Ice Arena. Emily Ferry (yellow) and Kristine Eastman chase down the puck along the boards during the 10th Annual Jamboree women’s hockey tournament at Treadwell Ice Arena. Jill Weitz unleashes a shot during a weekend game in the 10th Annual Jamboree women’s hockey tournament at Treadwell Ice Arena. Weitz scored twice in this game. 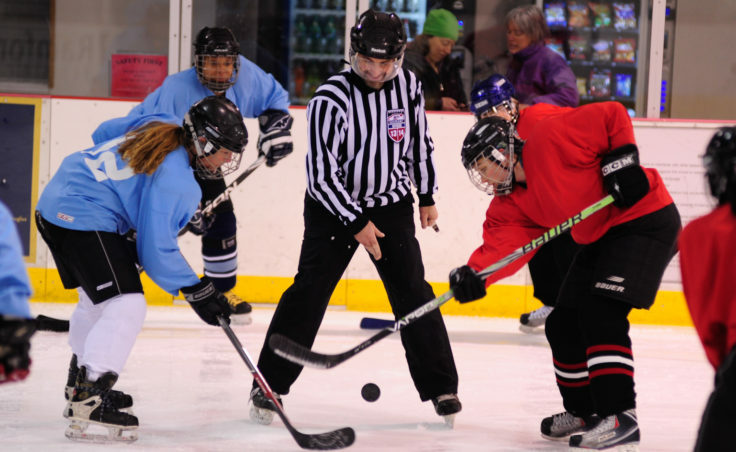 Referee Rich Morris drops the puck for Kim Milton (blue) and Mindy Shaw to battle for during the 10th Annual Jamboree women’s hockey tournament at Treadwell Ice Arena. 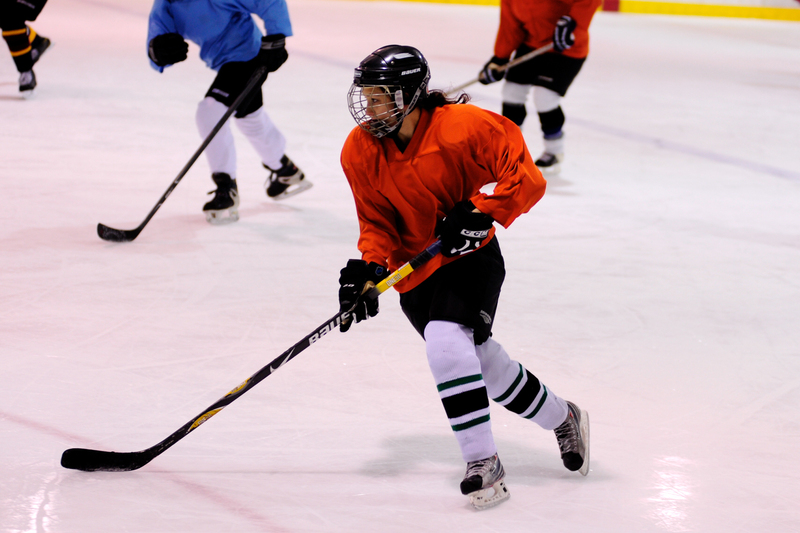 Angel Kwok (orange) leans into Carrie Bohan while trying to advance the puck and Bohan’s teammate Kristine Eastman awaits during during the 10th Annual Jamboree women’s hockey tournament at Treadwell Ice Arena. 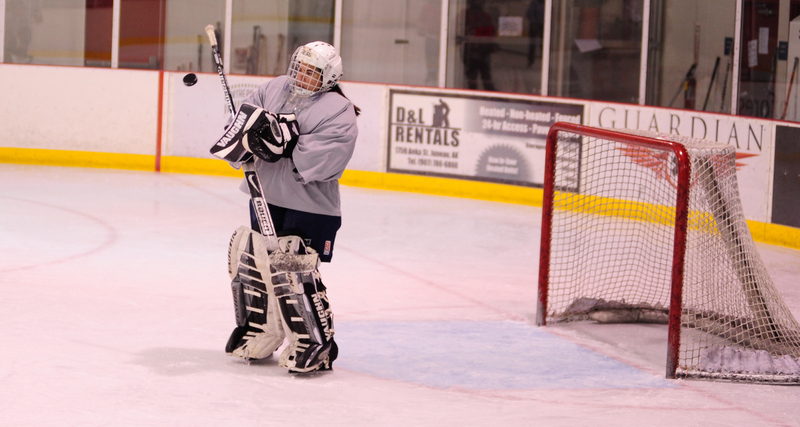 Caroline Schultz (blue) and Emily Hutchison battle for the puck to the left of the net during the 10th Annual Jamboree women’s hockey tournament at Treadwell Ice Arena. Lorna Wilson (black) keep Emily Ferry from getting off a clean shot during the 10th Annual Jamboree women’s hockey tournament at Treadwell Ice Arena. 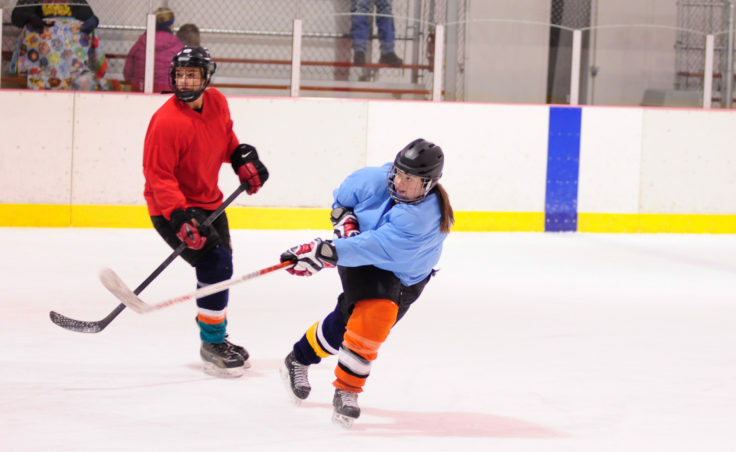 Deb Mosley (Grey) and Leslie Slater battle for a puck in the corner during the 10th Annual Jamboree women’s hockey tournament at Treadwell Ice Arena. 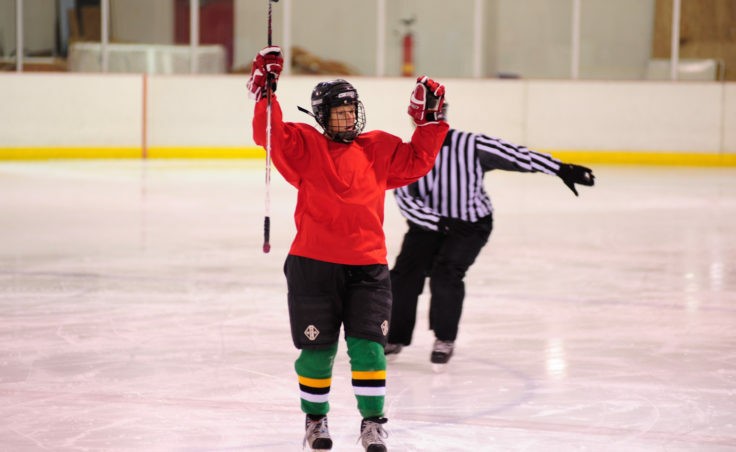 Val Martinez unleashes a shot from just inside the blue line during the 10th Annual Jamboree women’s hockey tournament at Treadwell Ice Arena. Shelagh More pushes through the last defender in a final push to score in the waning moments of the weekend’s three-day 10th Annual Jamboree women’s hockey tournament at Treadwell Ice Arena. 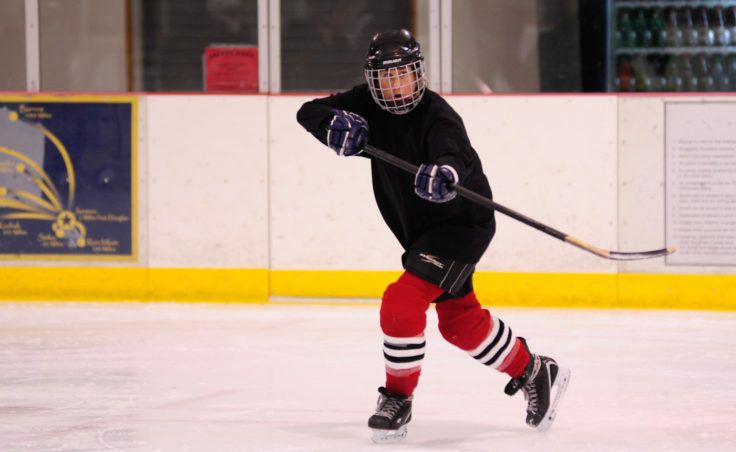 Laine Durgin releases a quick shot during the 10th Annual Jamboree women’s hockey tournament at Treadwell Ice Arena. 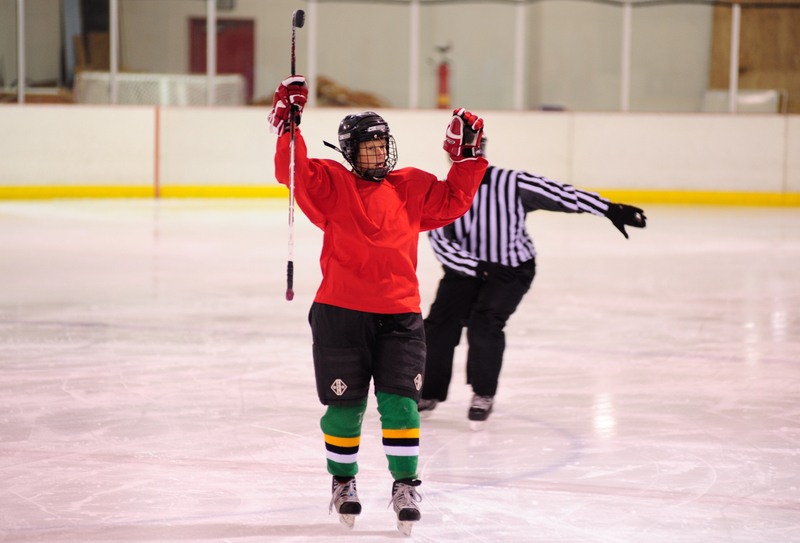 Ingrid Harrald celebrates her team’s goal as she skates back to the bench during the 10th Annual Jamboree women’s hockey tournament at Treadwell Ice Arena.